Add a seat that carries distinguished style and excellence. 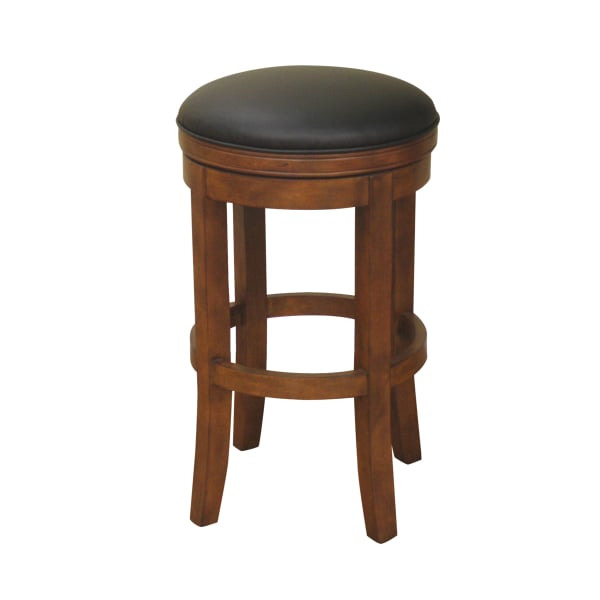 The Winston Bar Stool by American Heritage showcases a wood base finished in Amaretto, holding a black leather cushion that is soft to the touch and comfortable. 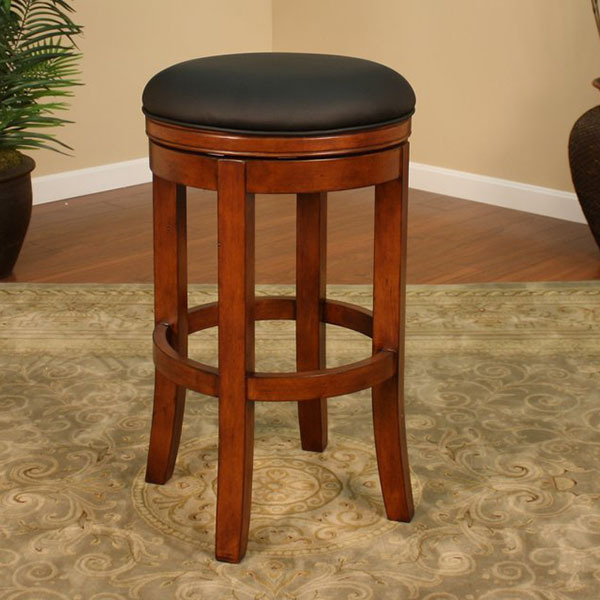 The mortise and tenon construction ensures a strong and durable model without exposed screws or nailheads, while the hidden swivel action will please all guests who choose to sit in this stool.